At the halfway point of the 2014 SIHH in Geneva, the high-end, largely Richemont-affiliated watch companies that comprise most of the show’s sixteen exhibitors are offering new dive models (see below), entire new collections (Parmigiani Fleurier and Cartier), a rich vein of artisanal dials (Cartier again, and Jeager-LeCoultre) and several serious astronomical pieces (A. Lange & Söhne and, yes, Cartier). 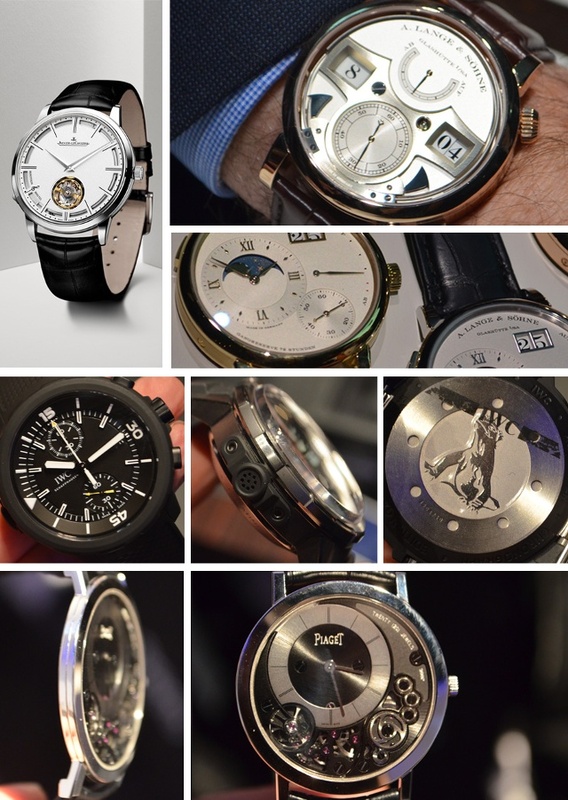 And even with all these offerings, one particularly evident theme this year was hinted at several weeks ago among several pre-SIHH releases: thin models of both the standard and ultra varieties are breaking records and turning heads. As Piaget already notified observers of the watch world, the brand’s Altiplano 900P now leads the pack in the race for the thinnest manual-wind model. But also thin, and also very elegant, Jaeger-LeCoultre Master Ultra-thin models, including one with a stunning Grand Feu enamel dial, offer equally compelling reasons to adopt a sleek silhouette on the wrist. More reason: The Jaeger LeCoultre Master Ultra Thin Minute Repeater Flying Tourbillon grande complication watch stems from research on two classic horological complications. It is indeed the slimmest grand complication, according to the brand, at just 7.9 mm thick. This thin watch capitalizes on seven patents, six of which are entirely new. Thin and complicated models are impressive at Vacheron Constantin and Cartier, each of which has enhanced its rich offering of complex yet elegant timepieces. The Vacheron Constantin Patrimony Contemporaine Ultra-thin Calibre 1731, a 41mm gold-cased repeater that measures 8.09 mm thin, takes the crown as the world’s thinnest in its category. Dive models are new at Cartier, whose first true dive watch arrives here in steel, gold and two-tone, and just may be the sleekest (and thinnest) dive model with true certified ISO dive specs available anywhere. The already heralded IWC Aquatimer collection features a fully revamped namesake collection that also includes a new mechanical depth gauge model called Deep Three as well as a technically astute limited edition Aquatimer Perpetual Calendar Digital Date-Month, a 49 mm that features large double-digit displays for both the date and month. Say tuned for SIHH 2014 updates all week with iWMagazine.com and follow iW on Twitter, Instagram and Facebook for more behind-the-scenes coverage of the five-day event.